Keep the following tips in mind as you consider what routine to follow for your lawn. While most people fail to find any correlation between a freshly-groomed lawn and a physically active lifestyle, having a green front yard encourages family members to take in the great outdoors with some fun fitness routines. Something as simple as a beautiful green lawn can be the difference between the kids sitting inside all day or spending their free time playing or running in the yard. There is an undeniable link between one’s mental wellbeing and the great outdoors. When faced with the choice of looking out at a lawn of asphalt or dirt versus a lawn of green grass, which one is more likely to make you feel better? Seeing how healthy and fresh your grass is can easily lift your spirits. 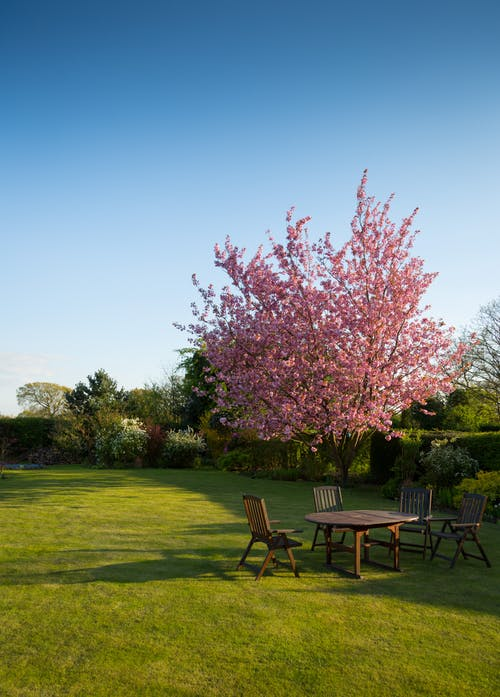 Rather than having a patchy and dirt-laden garden, homeowners can enjoy gazing out at the luscious lawn, which will ultimately lead them to feel better about themselves. Having the opportunity to live in a space liked with greenery, growing flowers, and plants of all kinds will lead to increased positivity and an overall boost in one’s happiness. A well-kept lawn isn’t just another way to make your home more appealing—it helps to add a safety barrier outside your home. An unkempt lawn can act as an invitation to trespassers and would-be vandals. Lawns that are overgrown and unattended to often indicate that a home is abandoned, making it an easy target for criminals. Instead of risking your safety and that of your family, taking care of your lawn with the help of Texas weed control can reduce the risk of a potential break-in. Additionally, taking care of your lawn can eliminate any pests that may be crawling around in the grass. Lawns can be breeding grounds for fleas, ticks, and the like, so it’s essential that you care for your front yard if you hope to keep these creatures away. Plants have their own unique way of helping the planet. Your grass is one of the many plants that add oxygen in the air. In addition to contributing to this life-giving system, your lawn continues this role by absorbing carbon dioxide. Everything from the grass in your lawn to the trees and plants around your home work as nature’s air purifiers. If you’d like to create a cleaner world by doing your part, start with a well-manicured lawn. Your green grass will help to create a healthy environment around your home by reducing your carbon footprint and lowering the impact of fossil-fuel pollution. Homeowners with lawns enjoy the added benefit of a lower energy bill as their lawns help to keep their homes cooler. Whereas an asphalt driveway or cement lawn would drive up temperatures, a green lawn can reduce the heat felt around the home, allowing your house to stay as cool as possible during the hottest months. With no scorching asphalt to compete with, you’ll be able to reduce your AC use, allowing you to save money on your energy bill. A moisture-rich lawn has the ability to protect your home and the area around it from the threat of fire. The healthier the grass, the less opportunity it has to catch fire. Alternatively, a lawn that is filled with dead grass and dry brush can easily catch fire on a hot summer day or act as fodder for an approaching fire. In addition to keeping the flames away, a well-kept lawn will improve groundwater underneath the lawn through a filtration process. The grass absorbs rainwater and traps pollutants in this process. As healthy lawns also slow water runoff, this allows more water to collect into the ground, ultimately seeping in as much water as possible. Through the wonders of science and aerodynamics, a thick and luscious lawn can help cut out noise pollution. A full front yard filled with healthy grass, large shrubbery, and tall trees work as a barrier against noise pollution. Take advantage of this all-natural noise barrier by maintaining your lawn and landscaping. Curb appeal plays a major role in how marketable your home is. If you hope to sell your home, investing in your property by improving the landscape is an important way to boost your home’s value. 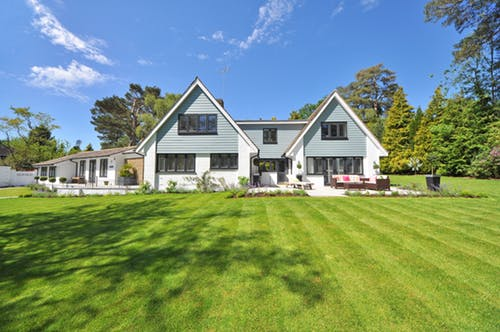 While you can certainly improve your home’s value by renovating both the inside and outside of your home, caring for your lawn is the first step in the right direction. As the lawn is often the first thing that prospective buyers see, if your home isn’t desirable on the outside, chances are potential buyers won’t take the time to even go inside your home. Homes with green and growing grass are an invitation and indicate that the home has been well taken care of. The better the health of your grass, the more control your lawn will have over soil erosion. As plants help to hold the soil in place, your well-manicured lawn will help to keep your soil fertile and fresh. As you tend to the grass above the soil, your lawn will act as a source of food for ants and earthworms. These creatures help to feed your yard as they pass through their life cycle. In taking care of your lawn, you’re helping the entire ecosystem at large. If you have a front lawn, it’s time to start investing in it. Let these eight strategies inspire you to give your lawn a new lease on life.